Asian women have achieved conspicuous success in Britain in every field, starting with retailing to education to the professions. As mothers, sisters and wives, they have done admirable work in sustaining the family - whether through business or in a variety of other fields. They were inspirational in reigniting the spirit of their forefather pioneers who had migrated to East Africa decades ago in a search of a better life. Asian women in Britain have reached the highest pinnacle of responsibility in banking and commerce, law, politics, media and culture. We produce a special issue saluting these achievements and focussing on their successes. In Britain, the British Asian Women make a difference to the wealth, health and intellectual well being of Britain. They have been honoured for their incredible contributions through out Britain and elsewhere. 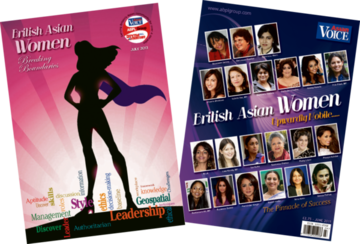 To salute their achievements in the community and Britain as a Big Society, Asian Voice launched the magazine British Asian Women in 2011. The magazine- 'British Asian Women- The Pinnacle of Success' profiled some influential Asian women who have accomplished their aspirations, inspite of various obstacles. Pretty much like the British Asians in general, these women have enriched the social and cultural fabric of Britain. According to the Census report in 2005, there are over 2 million Asian women in the UK. That's 3% of the population in the UK. A similar study by Census, there are approximately 204,000 Asian women in the UK and they earn approximately £24000-£72000. These are the just a very few of the many facts that are not known to many. Asian Women have left an indelible imprint in the corporate & PR sector, media, technology, retail, literature, medicine, law, entertainment and much more. Our magazines were the first of its kind to make an attempt to acclaim, praise and honour the role of these women as a role model for our future generations. You'll find previous digital e-ditions of British Asian Women below. 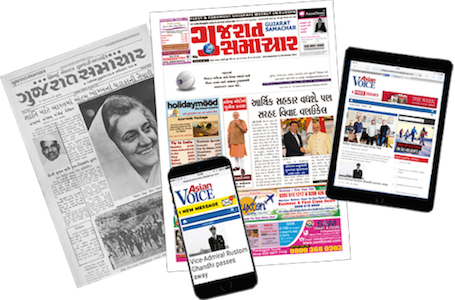 Simply complete it and return to us and you'll be receiving the UK's first and foremost Gujarati newsweekly direct to your door. Save almost 20% by subscribing to both titles! Asian Business Publications Ltd, the UK's leading ethnic publishers for the Indian community. Publishers of Gujarat Samachar, Asian Voice and organisers of the Asian Achiever's Awards.